Ameed Versace, SABS strategic engagements officer, with the Rt. Hon. 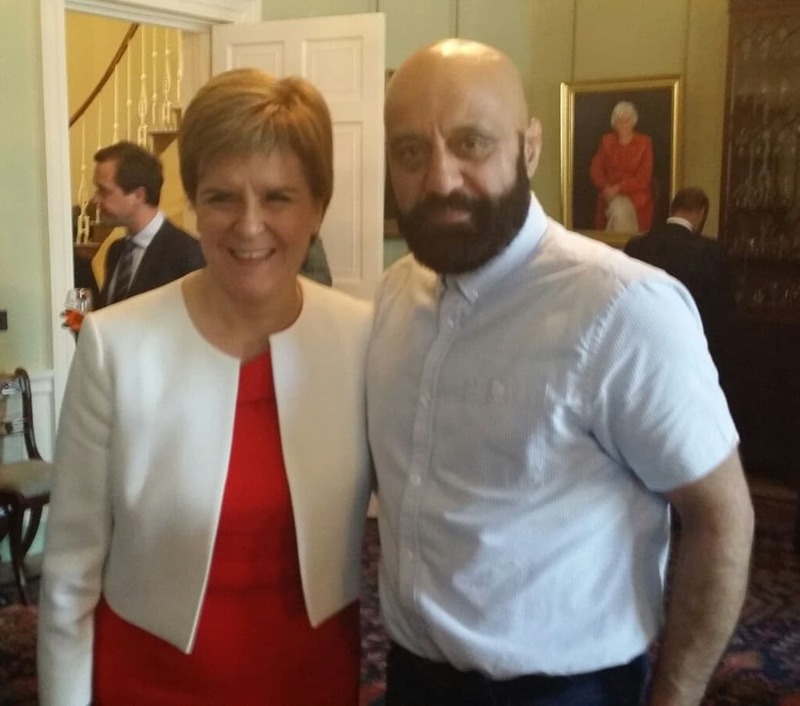 Nicola Sturgeon MSP, First Minister of Scotland at her Eid Reception at Bute House. A delight to have attended, and our thanks extend to the First Minister.